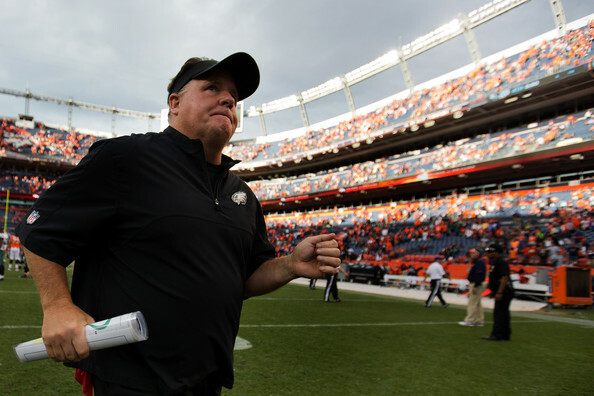 He maybe only five professional games into his new job, but Chip Kelly is the longest tenured head coach among the NBA, NFL, NHL and MLB teams in the city of Philadelphia, making it 266 days so far since becoming the head coach of the Philadelphia Eagles without being fired. It shouldn’t be a surprise to see patience from the Eagles, who had Andy Reid for 13 seasons, most of them very successful, even though it didn’t end up with them winning a Super Bowl. Kelly took over in January, leaving his very comfortable Oregon job, which saw him go to four BCS games in four years, including the national title game in 2010 for the job in Philly. This year is a changing of the guard in all Philadelphia teams, firing each and every one of their head coaches, or at least doing it more gently by simply replacing them. Besides Kelly, there’s Brett Brown, who became the 76ers’ head coach just two months ago, even if Doug Collins resigned back in April. Looking like the worst team in the league at the moment, the 76ers are leading in the riggin for Wiggins race. Brown has been on the job for 56 days. A bit shorter at the helm is Ryne Sandberg, who took over for Charlie Manuel after the latter was fired by the Philadelhpia Phillies after nearly a decade at the helm, which included winning a World Series in 2008. Just like Sandberg, the Philadelphia Flyers, firing Peter Laviolette very early into the new season, promoted from within. Their selection? Craig Berube, who has been on the job for 3 days so far.